Loyola head coach Porter Moser encourages his team during a practice session for the Final Four in March, 2018, in San Antonio. Moser, a former Illinois State coach, says he is staying with the Ramblers after talking with St. John's about its job. 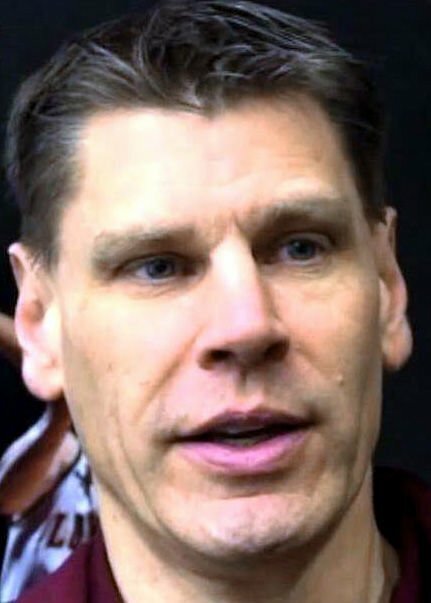 CHICAGO — Loyola coach Porter Moser says he plans to stay at the school after he reportedly talked to St. John's about its job. Moser, who coached at Illinois State from 2003-07, says he enjoys working with his players and is excited about his recruits. Moser agreed to a new contract last April that runs through the 2025-26 season. Athletic director Steve Watson says Moser is a "perfect fit" at the school. St. John's is looking for a coach after Chris Mullin resigned last week.